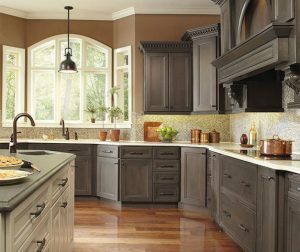 Brighten Up Your Kitchen in 3 Easy Steps - GNH Lumber Co. Brighten Up Your Kitchen in 3 Easy Steps - GNH Lumber Co. If the room’s ceiling is painted a dark color, or has dark wooden beams, it’s probably casting a pall over the entire room. Buy a can or two of white paint and give the ceiling a fresh coat! The bright white will reflect light instead of absorbing it, and you’ll be amazed at what a difference it makes. If you don’t want to use white, try a pale yellow or even a mint color. 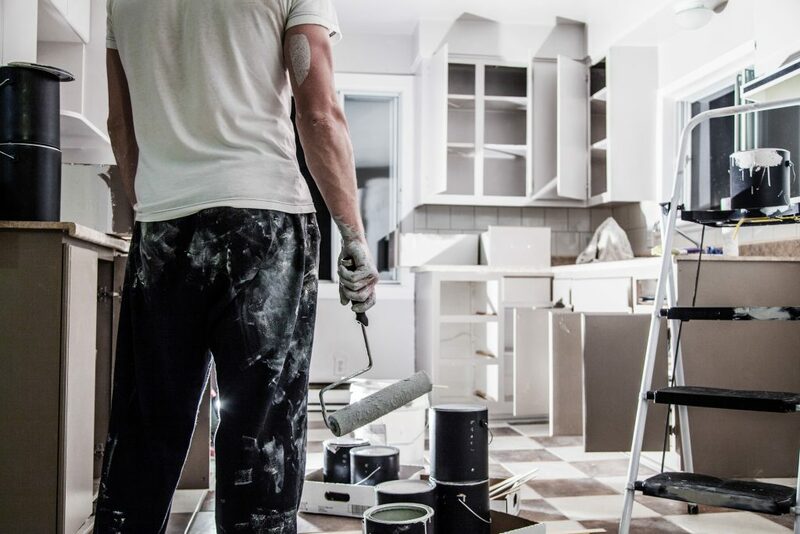 If you like the layout of your kitchen and the style of your cabinets, you can give them a facelift by applying a coat of primer, two coats of paint and a protective top coat.To do this project correctly, you’ll need to remove all the doors, remove the hardware, tape the hinges, paint the base cabinets and use a sprayer to paint and topcoat the doors outside so you don’t see brush marks. The entire project could take over a week. But, you’ll notice a tremendous difference in the final result. While you don’t have to paint your kitchen walls white, it’s generally better to use lighter colors. Sometimes just a coat of white paint on the wall will make a huge difference in your home’s freshness, and can even make the kitchen look bigger! You would be amazed at what a difference it will make to replace your fluorescent lights with incandescent lights. Florescent lights cast a darker tint around the room, while incandescent lights cast a pure white light. 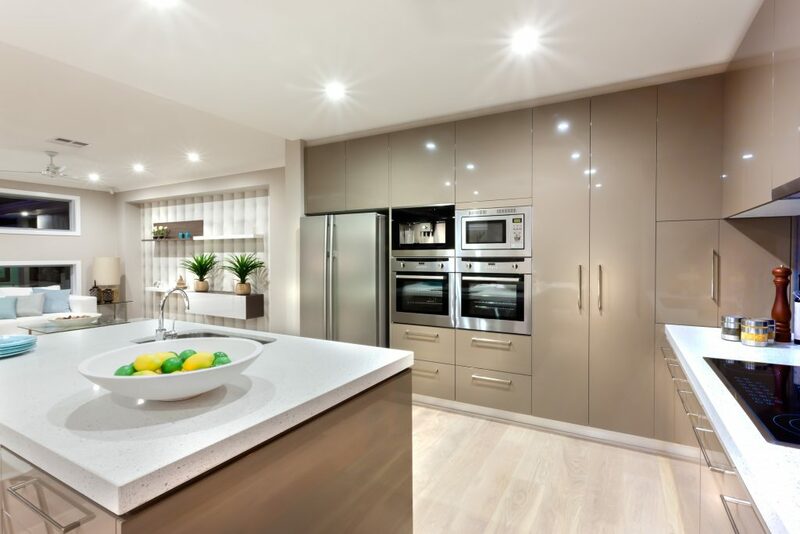 Updating with bright white lights and adding about 10 can lights in the room will make your kitchen much brighter. Also, don’t neglect dark corners with your lighting design, and add more ceiling lights where it’s possible. If you’re working with a dark room, chances are you don’t have a lot of natural light coming in, but it’s important to make the most of what you have. If your windows are covered with dark shades or blinds, you’re blocking out your best chance for brightening up the room. Choose light-colored window coverings that don’t completely block out the light. If you prefer blinds, look for cloth blinds in a light fabric. Avoid wooden or plastic blinds that block out all the light. 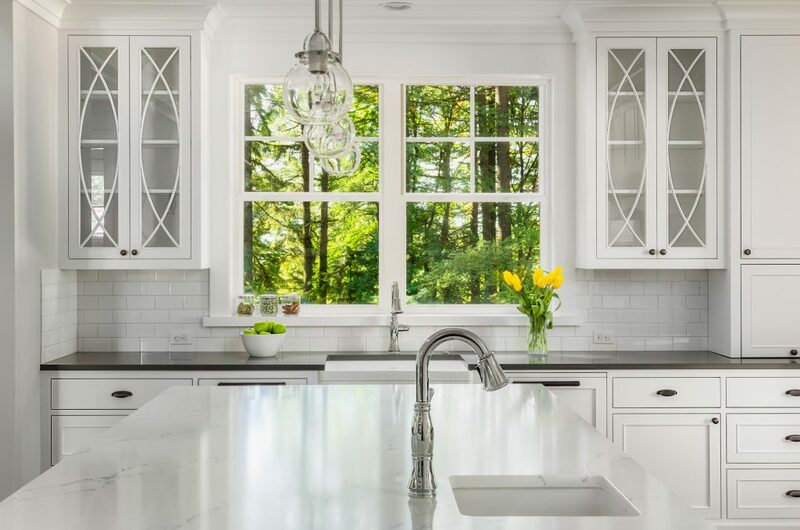 If you’d like more advice or you have some questions about how to brighten your kitchen, stop on in one of our GNH locations to meet with a professional. It’s a proven fact that humans respond, act and feel better in a home that is bright and open. Brightening up your kitchen is a great start to feeling better and inspired! 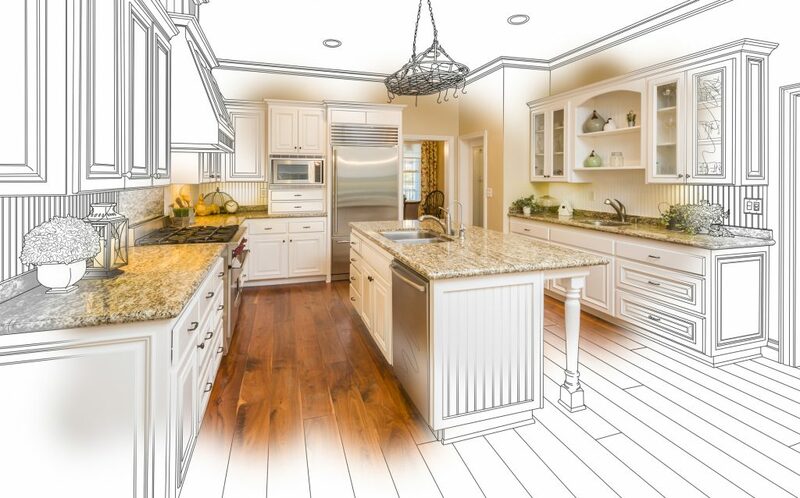 Is a kitchen remodel within your budget? How much value will it add to your home? Do you know how to design your kitchen space for ideal work flow? 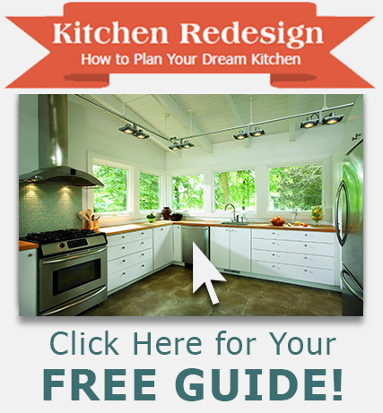 Download our FREE Guide, “How to Plan Your Dream Kitchen” to learn more!